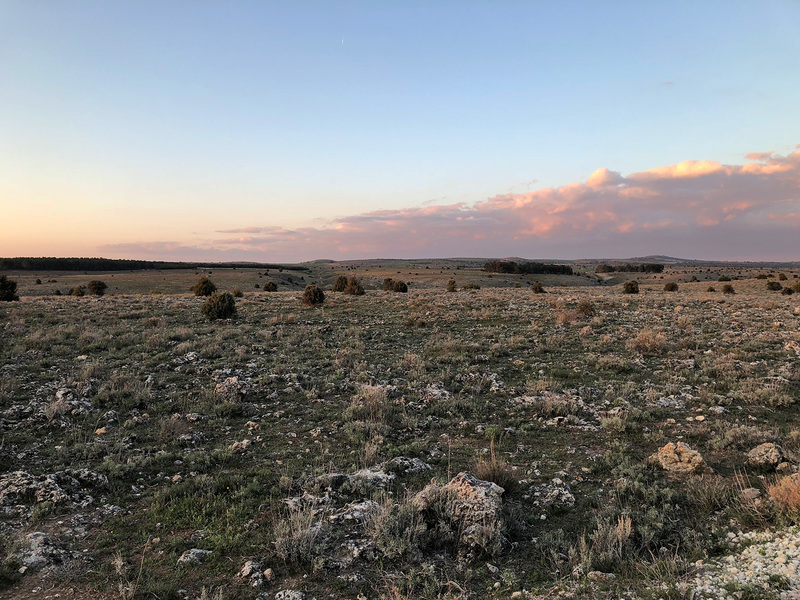 The area is varied, located on a plateau with a mostly dry, flat and stony terrain mixed with lush valleys and streams. It holds a large Griffon Vulture colony with excellent views from the vantage points above the steep gorge. 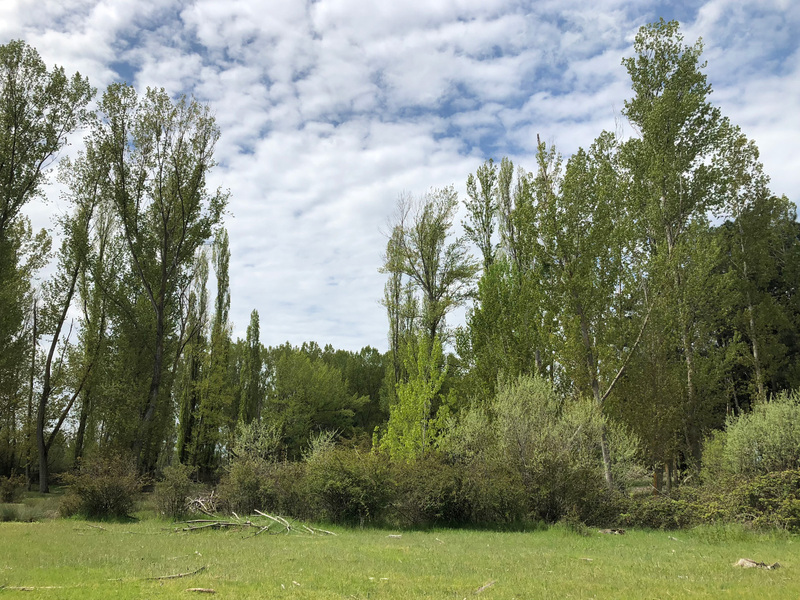 We stayed in Sebúlcor, a sleepy little countryside town with a general lack of younger people with most people being occupied with farming (or nothing). The hotel in Sebulcór was very nice, especially the food was simple, clean but with great quality and taste. 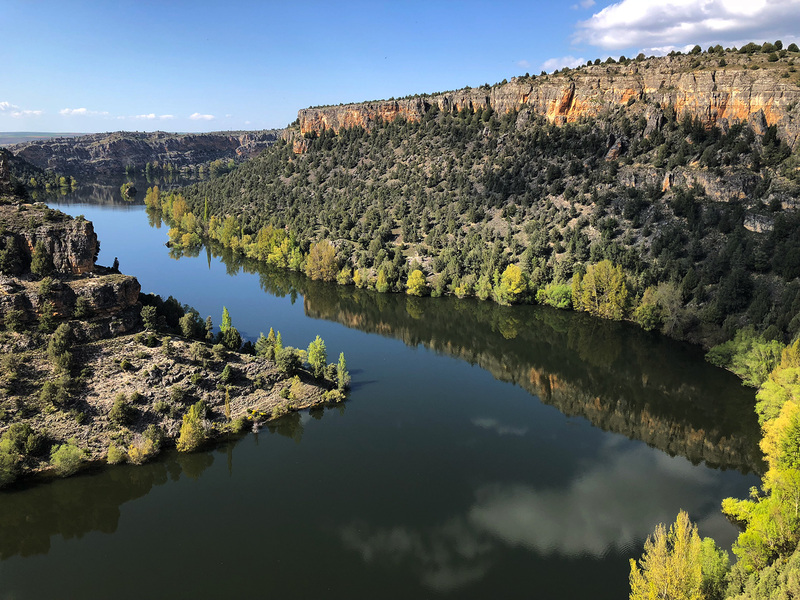 After arriving at the hotel we moved on to the chapel Ermita de San Frutos at the edge of the Duratón gorge. 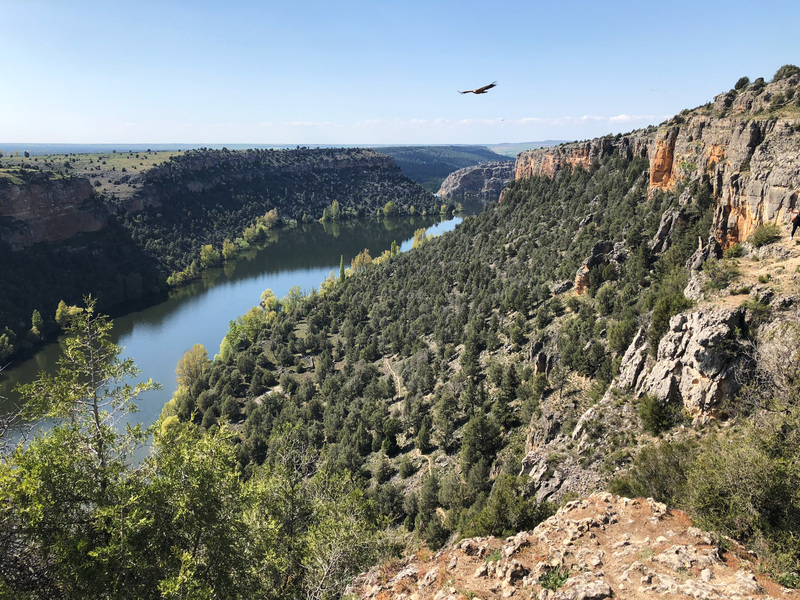 Since it was Saturday, glorious weather with clear skies and temperatures around high 20’s the place was packed with both people and the ever-present breeding Griffon Vultures. 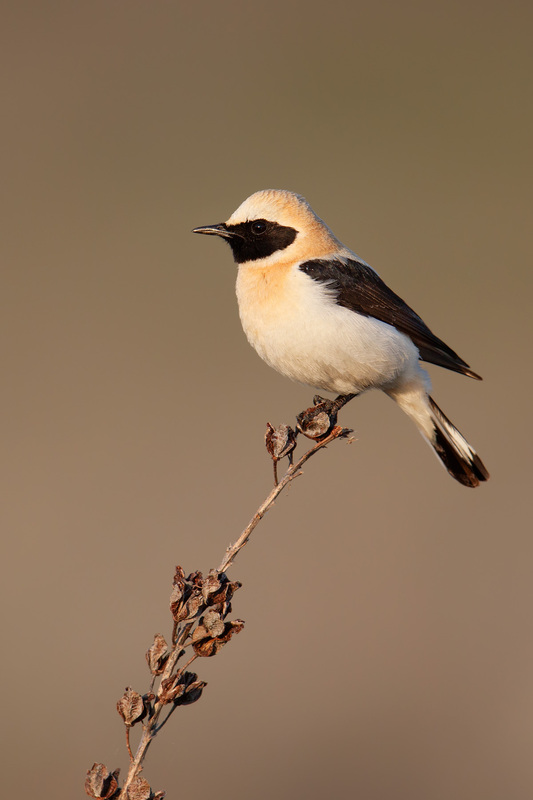 We realized that it would be a better idea to come back early morning and went back to the parking lot where I had seen a odd coloured (presumably a 2cy) male Black-eared Wheatear singing. I spent an hour or so trying to get a good shot of it before we headed back to the car. 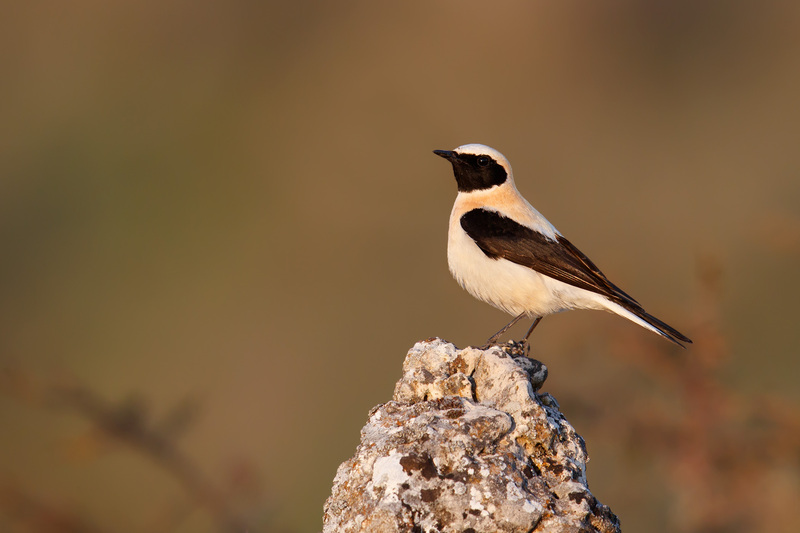 We started driving back to Sebulcór but only got about a kilometer got the parking before I saw another Black-eared Wheatear, this time a glorious adult male in superb evening light. As time was short, I started to crawl through the limestones to approach it (that hurt!) and it turned out to be quite approachable while feeding with a female down to 20 meters distance. 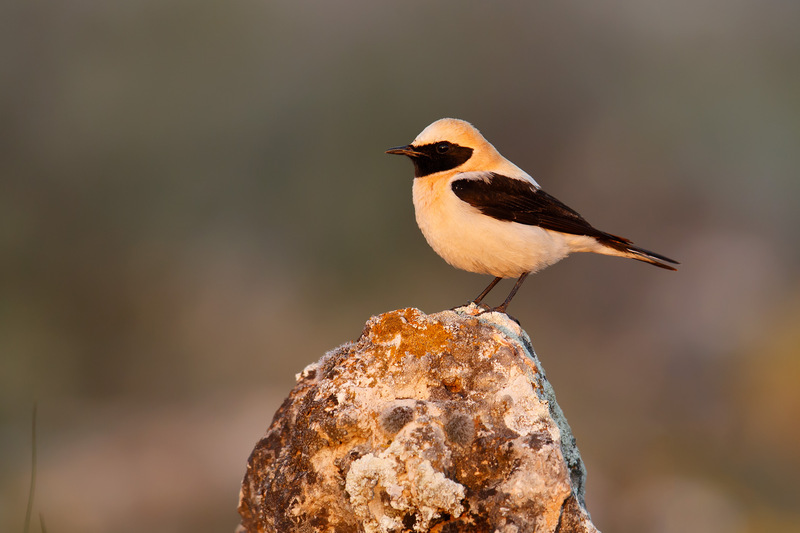 I followed the pair feeding and chasing other wheatears away until the sunset. I think there must have been 4-5 pairs in the area that night. 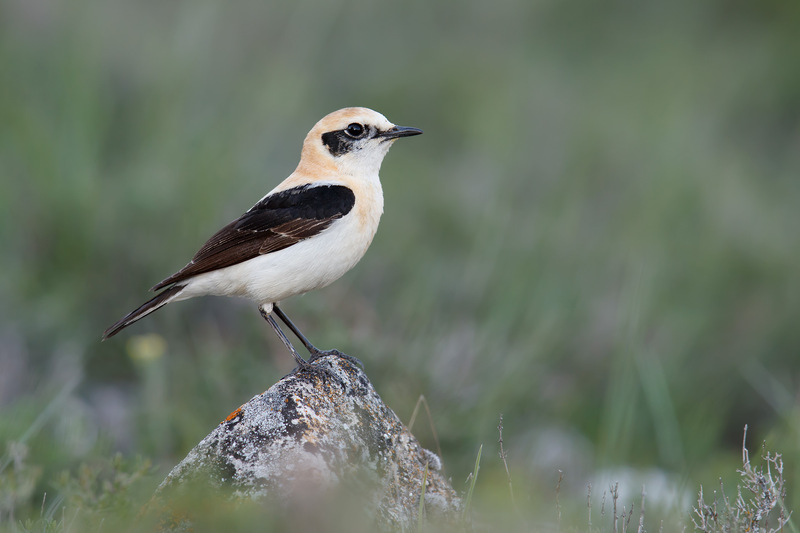 Prime Black-eared Wheatear and Dupont’s, Short-toed, Thekla and Wood Lark real estate. 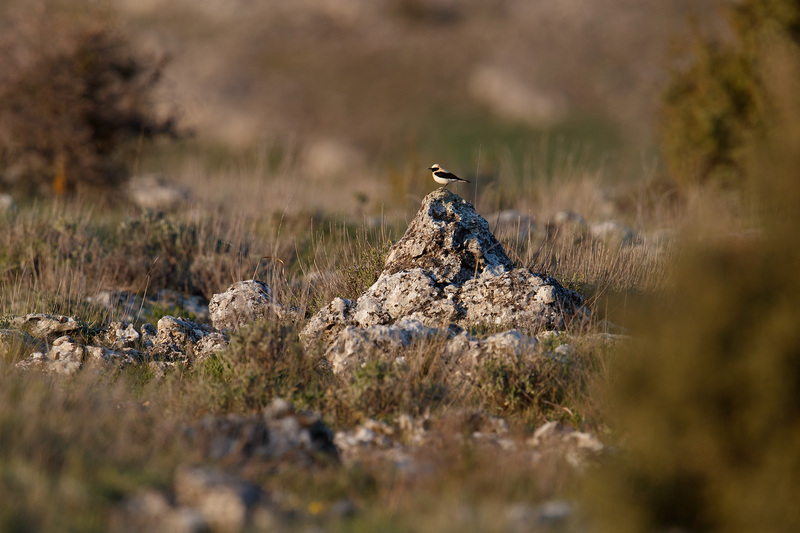 Black-eared Wheatears love this type of arid habitat. 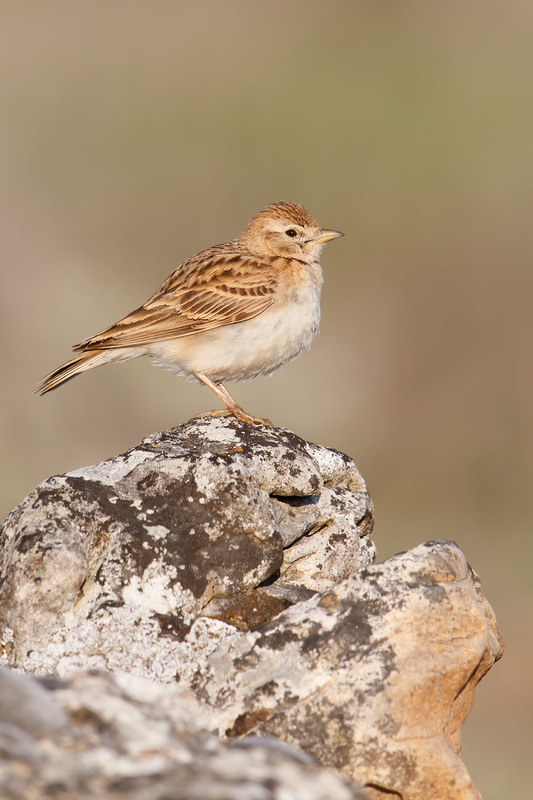 The following morning we returned to the area about an hour before sunrise to look for Dupont’s Larks. 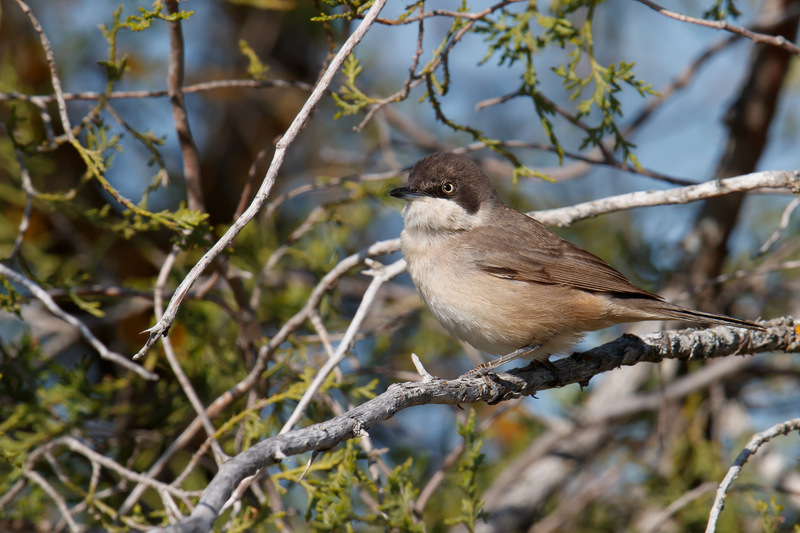 It didn’t take long until we found one singing from the low scrub. Eventually I believe there were 6 singing males but I never managed to get a glimpse of any of them. We continued down to the gorge where we were the first people on site. 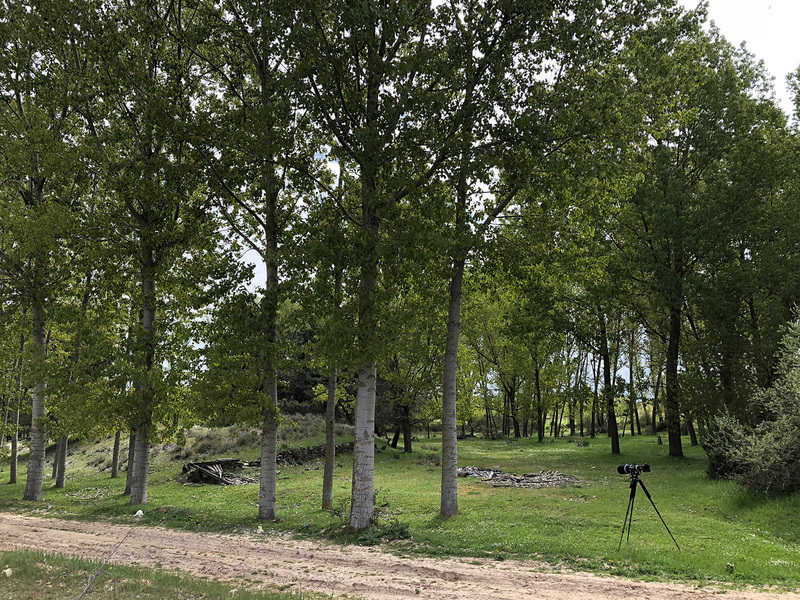 The place was packed with songbirds like Rock Sparrow, Cirl Bunting, Subalpine Warbler, Serin, Blue Rock Thrush and Wood Lark. After an hour I found our first and only Western Orphean Warbler of the trip, singing fairly visibly at times. We went back to Sebulcór for breakfast, very content with the morning. I decided to take a siesta during mid-day, while my dad went back to explore the Parque Natural. I woke up a couple of hours later and started to explore the area around the village by foot. At the edge of the village I found several Black Redstarts, Northern Wheatears and a Montagu’s Harrier in the maze of fields. From a distance I heard Bee-eaters from the western part of the village, so I went in that direction. 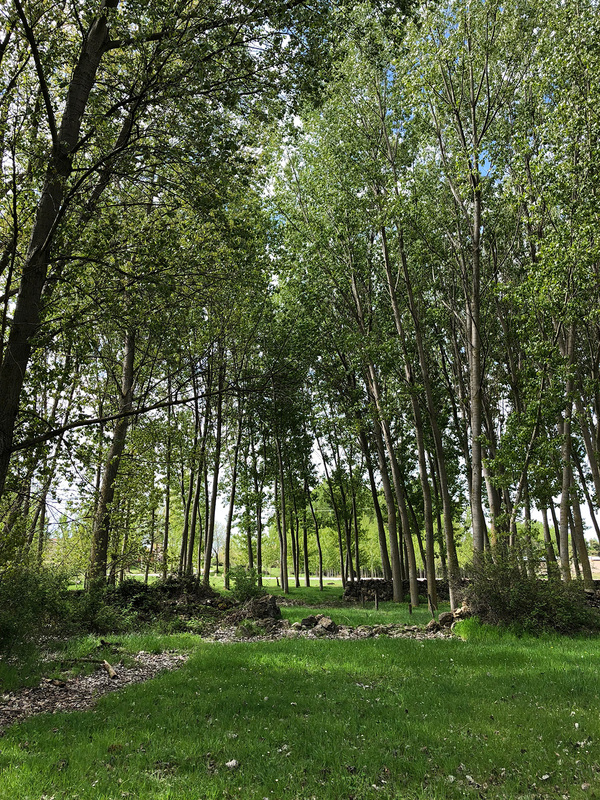 I walked through the sleepy village in the heat of mid-day and got very surprised of the numbers of birds in the area. The dry fields were broken up by a little river stream providing a lush area with great numbers of birds. Within 20 minutes I’ve counted 20+ Bee-Eaters, singing Golden Orioles, Hoopoes, Nightingales, Wrynecks, Green Woodpecker, Melodius Warbler and Blackcap, to mention a few! A Wryneck territory at the lush areas on the west edge of Sebulcór. 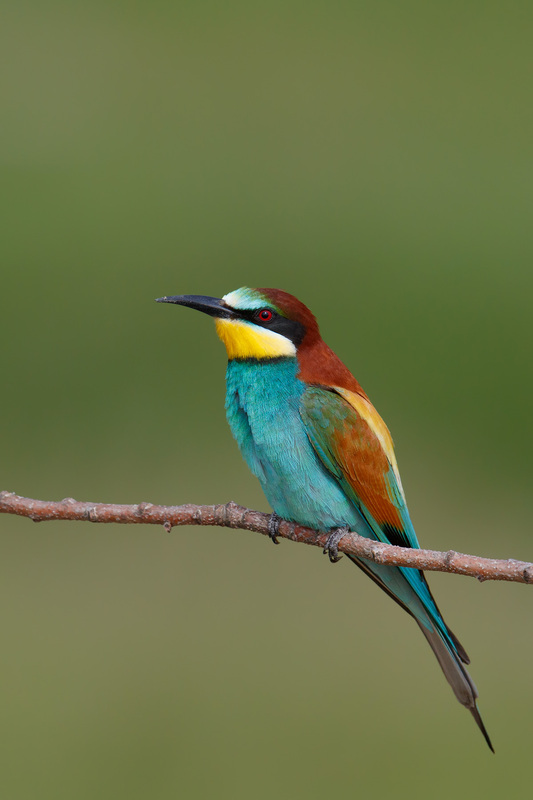 I noted that the Bee-eaters just had started to dig nesting holes in the sandy areas, therefore I put out several strategic branches into the ground where they were digging. I figured I just had to play the patience game from there and wait until they landed. To obtain the ultimate image I needed to cover myself in a position where I got close enough for a detailed picture, with a homogenous soft background with about 50% brightness, eye-level perspective, soft light conditions (shade free) and the wind in my back so that the birds would land on the branch facing me. Sounds easy huh? 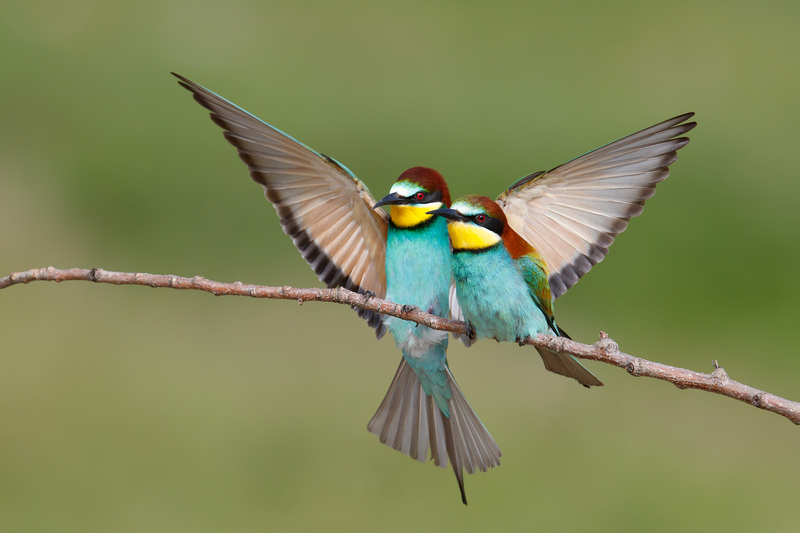 The Bee-eaters loved my little addition to their nesting area and started using the branches within an hour. However, they didn’t like my presence and tried out many similar sand banks during the afternoon. 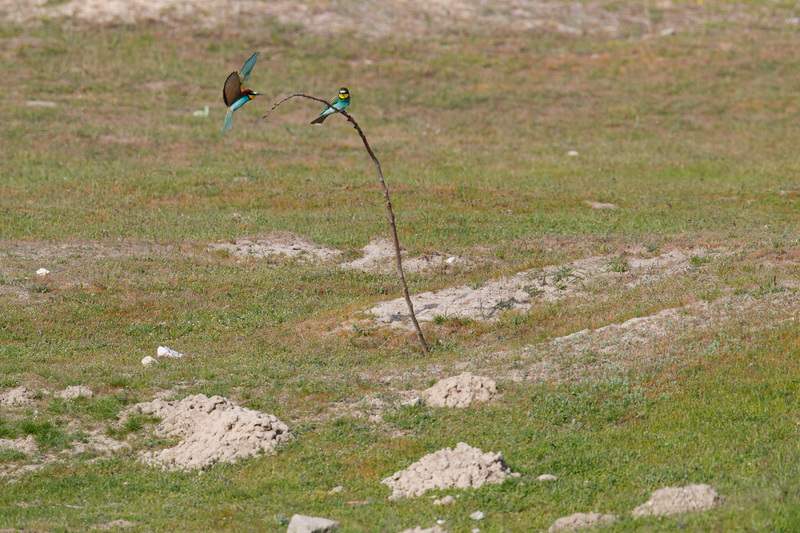 The Bee-eaters had just started to dig and had not really decided where to nest yet. They were moving around quite a lot and took off as soon as someone approached them at 100 meters distance. Therefore I went out with my camoflage net and waited for them to land in a good place for the whole afternoon, unfortunately in vain. I gave up as the sun went down without a single frame to keep, knowing we were due to leave at lunch time the next day. 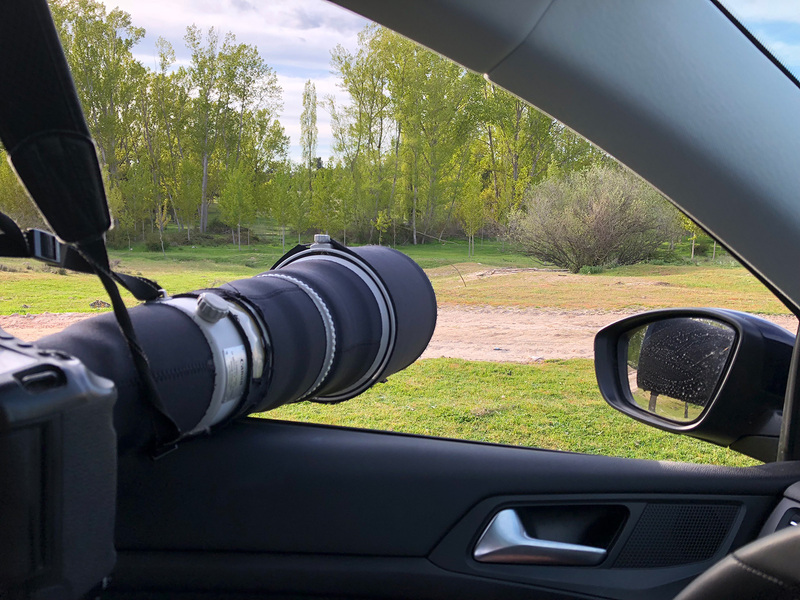 The most frustrating part about it was that I only had a 15 min drive to go to improve on Dupont’s Lark or Black-eared Wheatear, but I stuck with my plan and failed. Damn it! The following morning I decided to be patient so I got back an hour prior to the dawn. Another 3-4 hours passed, the sweet light became harsh and I was pretty pissed off and ready to leave. I went back for breakfast and realized that a cloud cover came in and softened the light just enough to remove any shades. I decided to give it one last try (thanks for your patience Dad!) and drove the car all the way to the nest site and pulled the camo over me inside the car. Suddenly I hear the female calling really loud and BANG, there she was 12 meters from me. 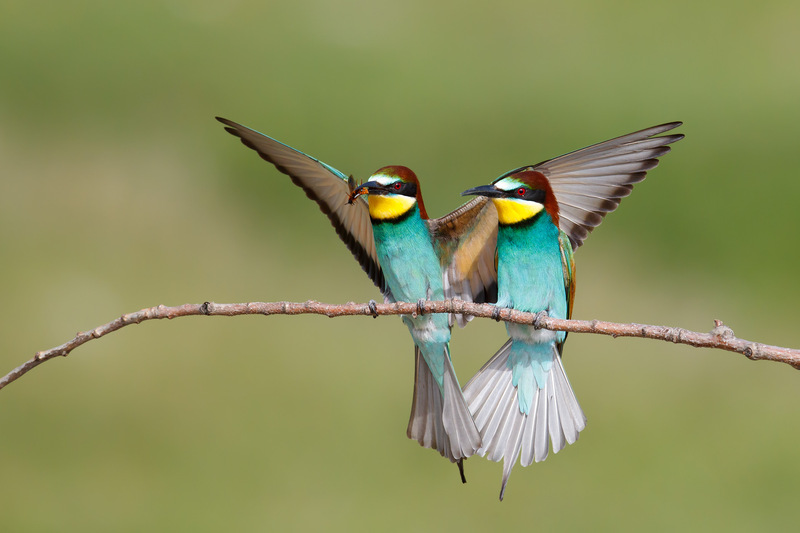 Finally they accepted me and I was able to enjoy a fantastic scene as the male kept coming by with bees to impress the female and show his prominent potential as a good Bee-eater father. I was beyond words happy as I came back to pick up our bags as I had finally nailed the species and returned with perfect shots. 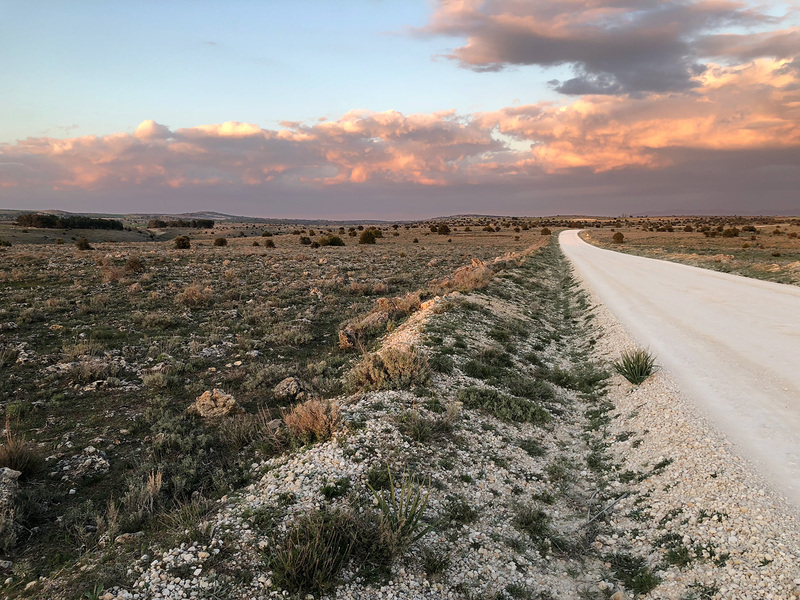 We then drove south towards Madrid and the third leg of our adventure in Central Spain.